The first step is to learn and to be open to how to do new things. Becoming a successful lifestyle trader is not easy, especially when human emotions of greed come in and you increase your bets or your expectations. But the resources on this site will make it possible. It’s important to make sure you are prepared before diving into the markets. We provide top-notch education that allows you to learn what drives the stock market and what you can do to claim your little piece of the global financial pie. While some of the concepts can sound overwhelming to you at first, keep in mind that you only need to know the basics. All the fancy things are optional and don’t necessarily increase your ability to make money. Keep things simple. Don’t over analyze. But be prepared. You’ll learn how to do everything from your mobile phone — checking charts, reading our trade alerts, logging into your mobile accounts, executing them and realizing your profits. We communicate with you through your mobile device so we can keep you up-to-date with our latest trade alerts and updates to our positions. We’ll also teach you how to set up a brokerage trading account with the proper permissions to execute the types of trades that let you mimic the money-making abilities of an insurance company. Most accounts do not have these permissions set up by default, so you want to make sure that you have have these permissions to take advantage of what is available to you if you check the right boxes. We’ll also demonstrate everything via video demonstrations and screenshots with our preferred broker, Interactive Brokers. They are well respected in the industry and generally provide the lowest commissions when compared with other “higher-end” brokerages that generally provide more fancy research and charting capabilities. Since we take on the financially conservative philosophy here at LifeStyleTrading101 and only want to pay for what we need to, we recommend that you follow along with Interactive Brokers. For those looking for more fancy option probability graphs – ThinkOrSwim is also a good choice, but their commissions are significantly higher. You’ll learn strategy, risk management, and wave theory on your way to becoming a lifestyle trader. As you will see on our Strategy page, our strategy looks at Elliott Wave Theory –a pattern recognition theory that is really fascinating and a great learning area for anyone new to it. 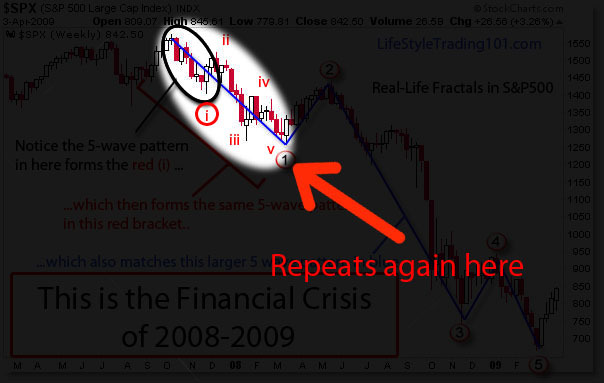 The theory is that human psychology, just like many things in nature such as the nautilus curl, the growth pattern of ferns, etc — manifests itself in the stock market as fractal patterns — basically patterns within patterns — that repeat over and over. 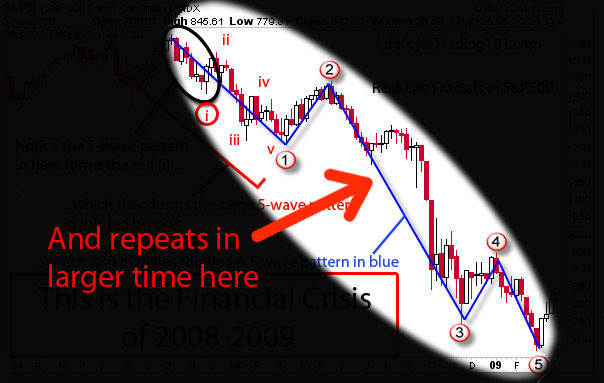 We will point to this over and over when we see these clear fractal patterns over various time scales. 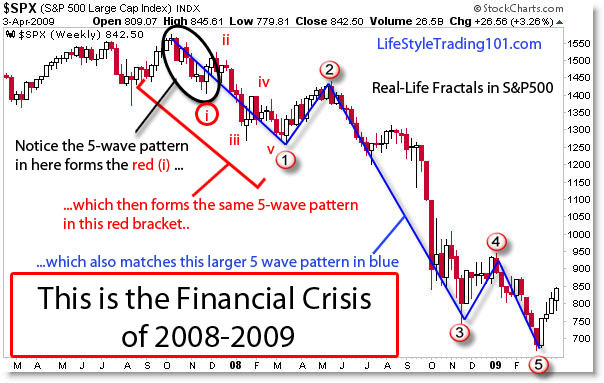 The following chart, may appear complex, but look closely and you’ll see the same 5-wave pattern repeating over and over during the 2008-09 financial crisis. 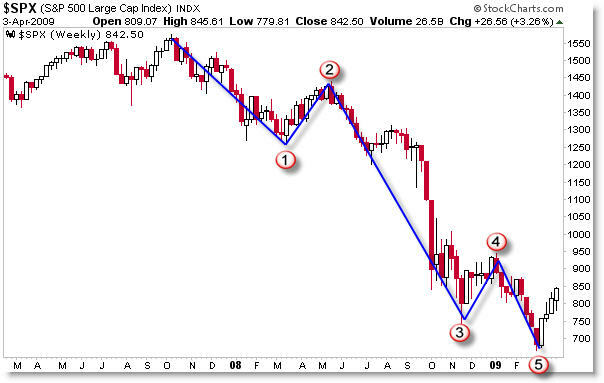 This pattern appeared regardless of all the news, earnings releases, Fed announcements, Middle East conflict, etc — that happened. 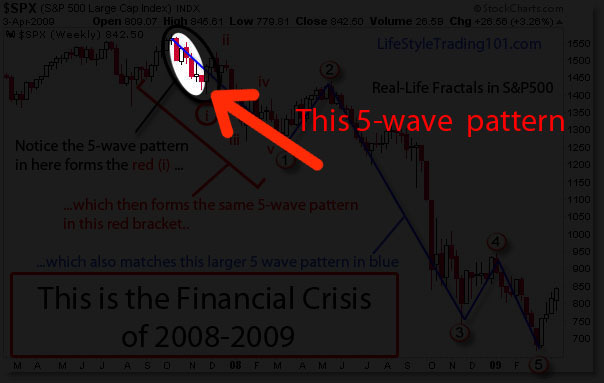 With wave pattern theory, we believe all of that is baked into the wave patterns. The structure of the waves repeat over and over — the tricky part when it comes to trading is the size and length of these patterns — which tend to be less predictable. Oftentimes, they do follow Fibonacci-level ratios, but that aspect is generally less reliable. What we know is fairly reliable is that the general structure can often be predicted with good accuracy — and that’s part of what we use to help increase our probabilities when placing our trades. 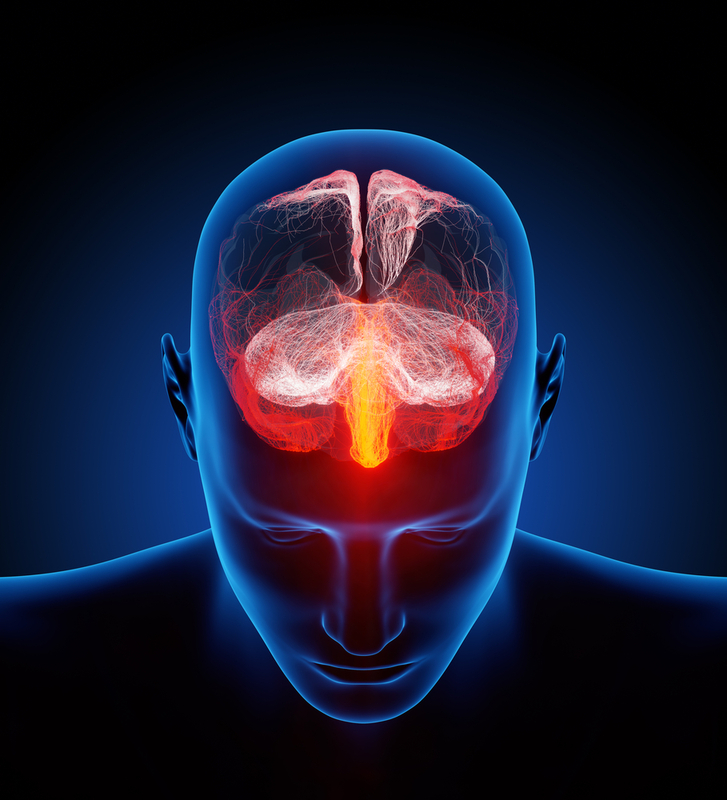 Take a look at some of the articles and trading resources we’ve put together on this site. When you are ready to make some money, start with our introductory month of our SilverSurferTrades subscription and test it out. 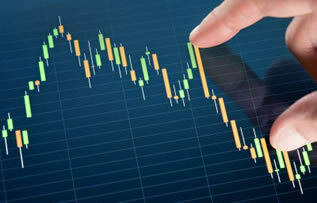 We guarantee that profits from our trading alerts will exceed the monthly of the service, or your money back. So give it a shot – you have nothing to lose besides time and your own desire to become a lifestyle trader.